Everyone knows that baby dragons are courageous. But do they have a good memory? Let's find out with a race around the bubbling volcano. 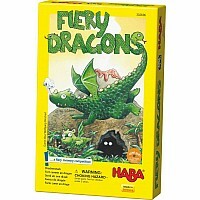 Each player starts his baby dragon in the cave of the corresponding color. The active player tries to uncover a chit with the kind of symbol shown on the field he's standing on. If he fails, his turn is over. If he draws a pirate dragon, he must move back. If he succeeds, he moves forward up 1, 2, or 3 spaces (depending on the chit), and continues with his turn. The first player that completes a round around the board and reaches his cave with an exact move wins the game. 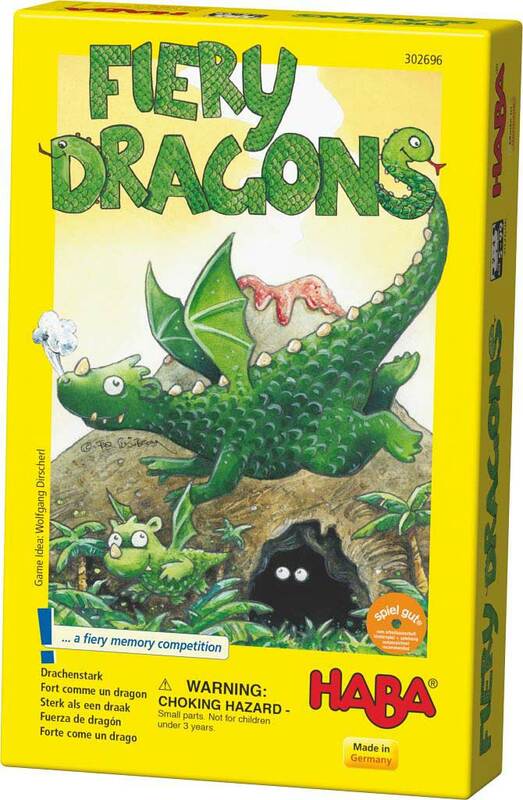 A challenging memory competition for 2-4 dragon fans aged 5-99!